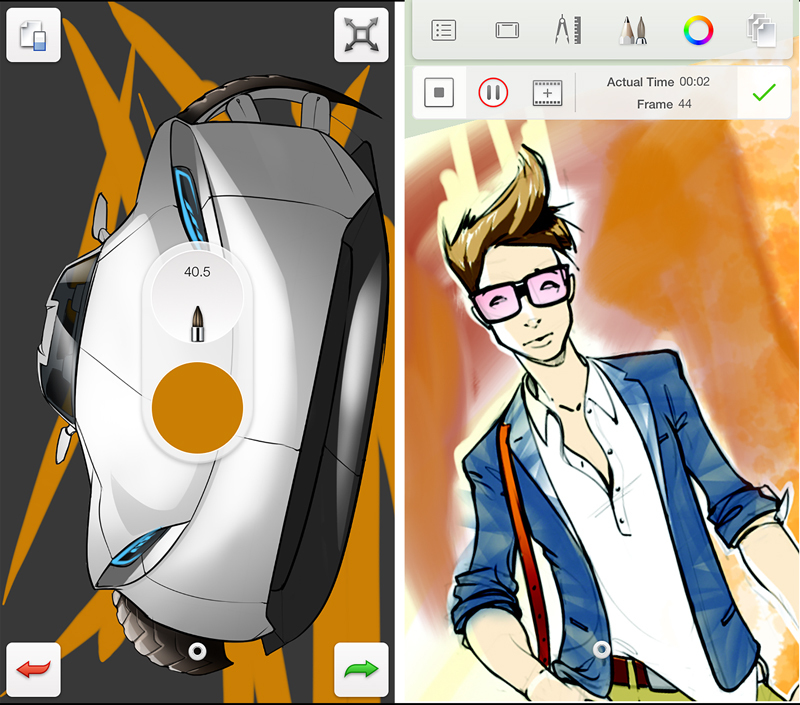 Since its debut in the mobile space five years ago, SketchBook for iOS and Android has been a go-to app for artists on-the-go. 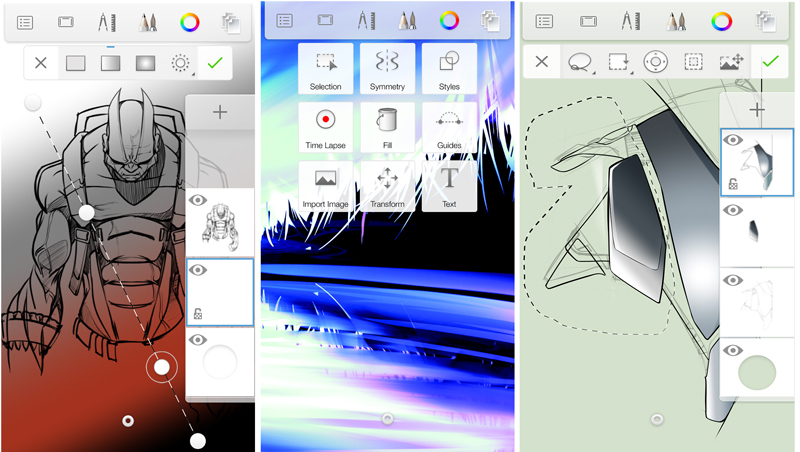 Now, seeking to simplify its burgeoning slate of offerings, the company has announced a new version of its SketchBook app, Autodesk SketchBook for iOS and Android, that unifies the app’s interface and functionality across phone and tablet versions. With this release, there are no longer specific tablet and phone versions of the app, but rather a single mobile version for each platform. SketchBook’s interface will automatically resize as it detects and adapts to multiple screen sizes. Moreover, all the free and paid versions that have cropped up on mobile app stores over time will be replaced with this single app on Apple’s App Store and the Google Play Store. 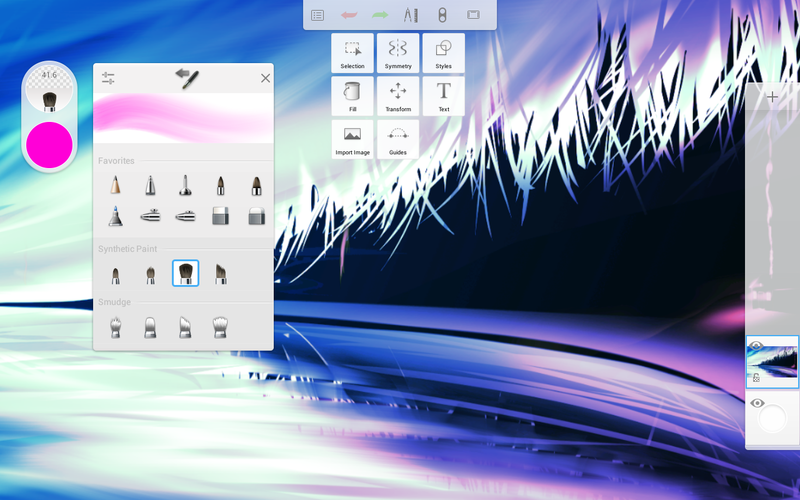 Autodesk is working to transform SketchBook into a consolidated drawing and painting platform as opposed to a loose coalition of related software products targeted to different skill levels. This alignment for both desktop and mobile anchors the company’s emphasis on a unified user experience and drives most of the new features. The new version introduces additional features. There’s a redesigned and customizable interface featuring combined brush and color puck improvements for adjusting brush sizes and color density. New layer blending modes now include Glow and Soft Glow settings, while new selection tools now let you draw and transform within specific parts of an image. New brushes — including synthetic and smudge brushes and dynamic flood fill tools with solid, linear and radial gradients — are now available. There are 18 blending modes, the same number as in the desktop version. A full set of selection tools have been added to the artists’ workflow, including Rectangle, Oval, Lasso and Magic Wand, as well as a Magic Wand tolerance slider and toggle. You can select an area, and then replace, add, remove or invert the selection, maintain a selection when moving between layers, and use a selection for masking. Gradients offer more control to the flood fill feature. You can choose a linear or radial gradient to add depth and texture to your sketches. The new gallery feature makes it easier to organize sketches. You can create albums, re-order and sort through sketches, and select multiple images to depict movement or for album creation. Because the app supports Dropbox and iCloud, you can save work from your mobile device and pick up where you left off on a different device or on the desktop. iPhone 6 Plus interface with corner and icon controls. 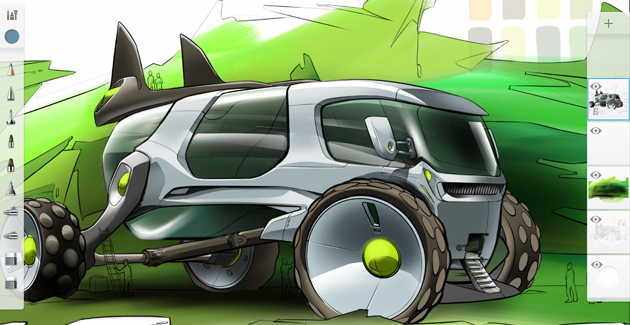 Autodesk has streamlined its SketchBook lineup for broader appeal to both novice users and pros. Over the summer, the company launched new membership options, coinciding with the release of its desktop app SketchBook Pro 7, which now apply to mobile versions. Moreover, SketchBook for iOS and Android is also compatible with popular styluses, including the Wacom Intuos Creative Stylus 2 and, new with this version, the Pencil by FiftyThree. Optimized for iPhone 6, iPhone 6 Plus, iOS 8 and Intel-based Android 4.0 and later devices, SketchBook is free to download from the iTunes App Store and Google Play Store. It can also be used with the iPhone 5. There are two free membership options — one requiring registration and sign in and the other not requiring it. 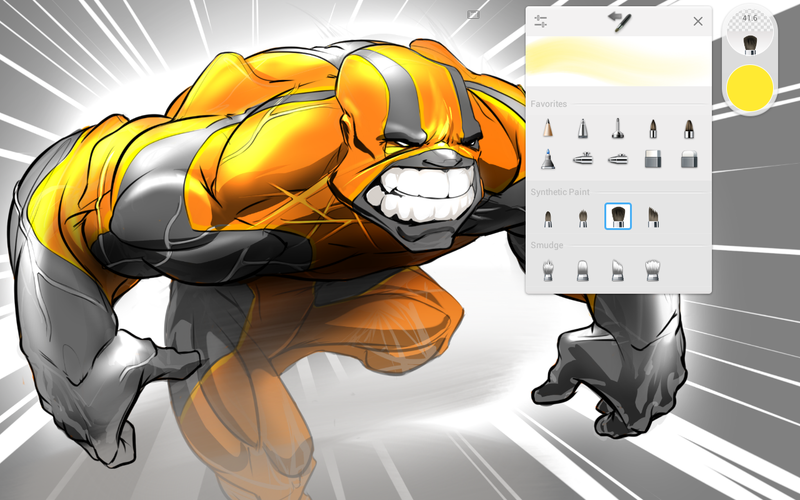 Pro members on the Windows and Mac edition of SketchBook Pro who pay a $24.99 for a yearly subscription or $2.99 a month, get full access to all current and new features of any version at no extra charge. For those who eschew subscriptions, the new mobile features will be available for $3.99 as an in-app purchase after the initial download, with periodic updates planned at about the same price.